We had limited space already at the table and this idea came to my head. 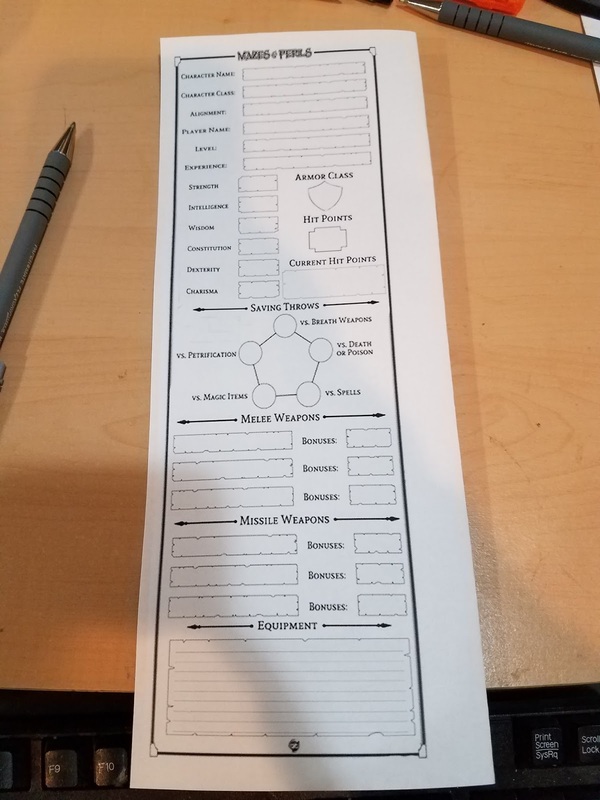 So I chopped up the M&P character sheet that good Ol' +Brian Fitzpatrick had designed up, into a smaller sheet and had him print it out for a second set of eyes and this is what he came up with and he thought it was a neat idea. 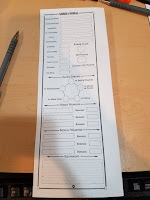 The above picture is one I printed out, and put it next to two note pads, a normal sized one, and a mini one. 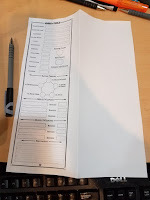 I think after looking at it, and putting it next to a notepad, my friends at the table will be happy about having the ability to have their character sheet out, in the limited space they have, next to their notepad and not have to flip around through papers. The only question I am wondering is what I should put on the back? Spells known/used for the day? So what do you think? 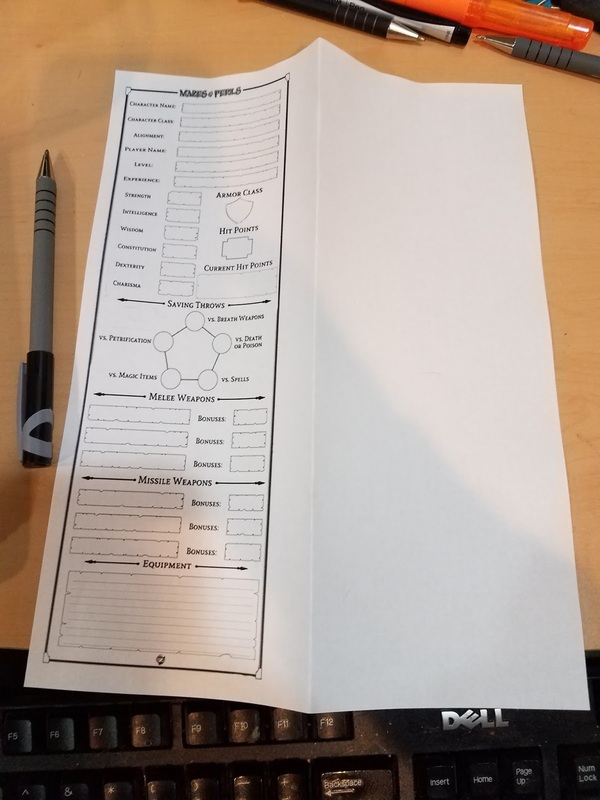 What should I include, or take off this sheet, should I even include a back sheet or leave it blank? I would LOVE TO KNOW!